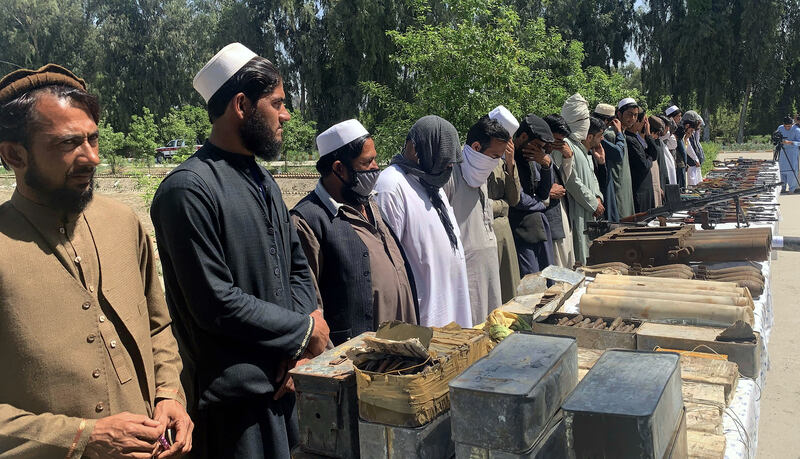 JALALABAD -- The peace process is accelerating as Afghan National Defence and Security Forces (ANDSF) continue to crack down on militants in Nangarhar Province, local officials say. 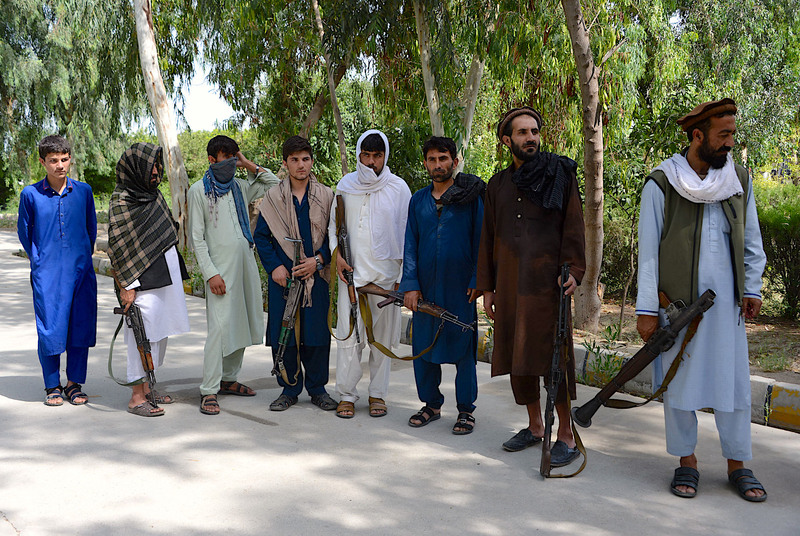 Local authorities last week presented to the media 54 Taliban militants who were previously active in the Momand Dara, Khogyani, Sherzad, Ghani Khel and Nazian districts of Nangarhar Province. "These 54 militants, including four commanders, surrendered 54 barrels of weapons, including five barrels of heavy weapons, to the National Directorate of Security (NDS)," said Ataullah Khogyani, spokesperson for the provincial governor, November 22 at the NDS provincial compound in Jalalabad. "Recently, security forces have intensified their operations against the militants in various districts, which has forced many of them to surrender," he said. "In a number of other districts, some illegal armed groups want to join the peace process and soon you will hear that large groups of militants have joined," Khogyani said. "Efforts for peace have increased, and the militants have realised it and want to put down their arms to live in a peaceful environment," he said. "This is what the public and our government want and are trying to achieve." Security operations against militants are ongoing and expanding, said Nangarhar Governor Hayatullah Hayat. In the coming winter, ANDSF will conduct operations in Hisarak, Sherzad and other districts of Nangarhar where the security situation is tense, he told tribal elders in Jalalabad on November 2. The Taliban members who joined the peace process explained their motives for fighting and vowed never to take up arms again. "We thought we were participating in a holy war," former Taliban commander Nabiullah told Salaam Times. "We fought for 12 to 13 years," he said. "Many people died or were wounded, but now we have concluded that this fight is not our fight, it has been imposed on us, and we have to end it." "We were receiving money; we were receiving weapons," he said. "We gradually realised that the weapons were coming from our neighbour, and our neighbours do not want peace in Afghanistan." "Whether it is Iran or Pakistan, China or Russia, or other countries, they all want to create chaos in our country," Nabiullah said. "I reached the conclusion that fighting here means killing and injuring our own brothers, and for this reason, I regretted it and decided that I would never carry a gun again," said Mohammad Islam, another former militant who joined the peace process after fighting the government for 16 years. "I will quit fighting forever, and I want to live the rest of my life peacefully with my children," he told Salaam Times. As the influence of the Taliban and "Islamic State of Iraq and Syria" (ISIS) dwindles in the face of ANDSF operations, local residents and analysts say they are hopeful for peace. "Countries of the region have realised that if there is no peace in Afghanistan, these countries cannot live a peaceful life either," said Mohammad Anwar Sultani, a political analyst in Nangarhar. "Still our neighbours -- Iran, Pakistan and others -- want to keep Afghanistan unstable," he told Salaam Times. "However ... their dream will never come true, and I believe the latest peace efforts are very hopeful." "ISIS and the Taliban no longer have influence in many areas of Nangarhar where they once governed, and the government has reached most of those areas where it did not have a presence in the past 17 years," Sultani said. 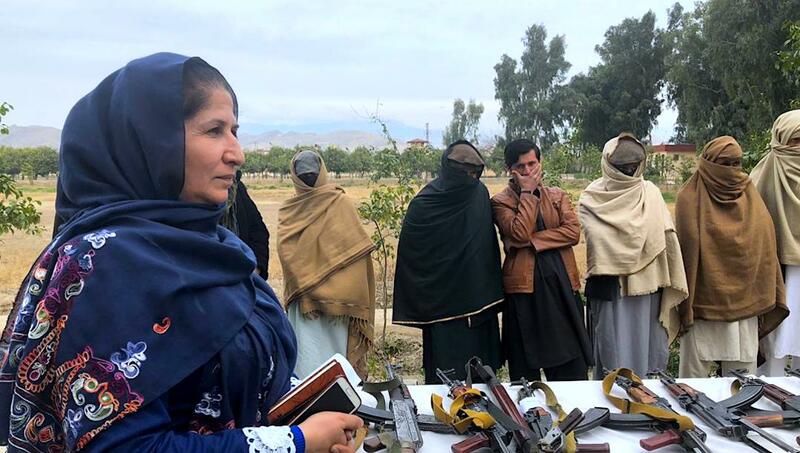 "Before, if someone talked about Bati Kot, automatically the Taliban would come to mind," said Humayoon Rahimi, 32, a resident of Bati Kot District. "Now there is so much security here that residents of other areas and provinces come for the sweet-orange gardens and they enjoy orange parties," he told Salaam Times. "It is true that where there is security, there will be life," Rahimi said. "We have not lived a proper life over the past 15 to 16 years. It was like a life in prison. Now we realise and understand how joyful life is in peace and security." The former fighters said they 'no longer want to destroy the country and kill innocent people'.